The member states of the European Union are faced with the challenges of handling “big data” as well as with a growing impact of the supranational level. Given that the success of efforts at European level strongly depends on corresponding national and local activities, i.e., the quality of implementation and the degree of consistency, this chapter centers upon the coherence of European strategies and national implementations concerning the reuse of public sector information. Taking the City of Vienna’s open data activities as an illustrative example, we seek an answer to the question whether and to what extent developments at European level and other factors have an effect on local efforts towards open data. We find that the European Commission’s ambitions are driven by a strong economic argumentation, while the efforts of the City of Vienna have only very little to do with the European orientation and are rather dominated by lifestyle and administrative reform arguments. Hence, we observe a decoupling of supranational strategies and national implementation activities. The very reluctant attitude at Austrian federal level might be one reason for this, nationally induced barriers—such as the administrative culture—might be another. In order to enhance the correspondence between the strategies of the supranational level and those of the implementers at national and regional levels, the strengthening of soft law measures could be promising. European Commission. (2011d). Digital agenda: Turning government data into gold—IP/11/1524. http://europa.eu/rapid/press-release_IP-11-1524_en.htm. Accessed 12 Aug 2013. Fraunhofer IAIS. (2012). Fraunhofer-Studie Open Government Data für Kommunen im Kontext von INSPIRE und Linked Open Data. http://www.iais.fraunhofer.de/ogd4kommunen.html. Accessed 12 Aug 2013. McKinsey. (2011). Big data: The next frontier for innovation, competition, and productivity. http://www.mckinsey.com/~/media/McKinsey/dotcom/Insights%20and%20pubs/MGI/Research/Technology%20and%20Innovation/Big%20Data/MGI_big_data_full_report.ashx. Accessed 12 Aug 2013. Sunlight Foundation. (2011). 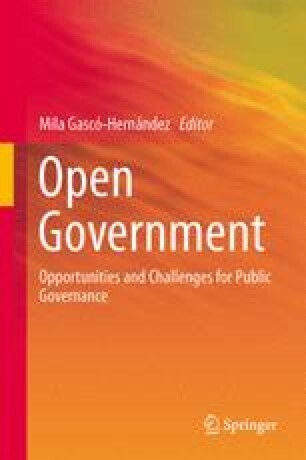 Ten principles for opening up government information. http://assets.sunlightfoundation.com.s3.amazonaws.com/policy/papers/Ten%20Principles%20for%20Opening%20Up%20Government%20Data.pdf. Accessed 12 Aug 2013.